Stephen Haladyna defends Pat Bradanese. (Danvers) St. John’s got by Billerica, 80-59, on Friday night in a first round Division 1 North game and that sets up a clash with 18-3 Lincoln-Sudbury on Sunday night (5PM) at St. John’s. And for those who like to look even further ahead, the winner of the St. John’s/Lincoln-Sudbury match will take on the winner of the Central Catholic/Charlestown game. A couple of awfully good teams are going to be out of the tournament on Sunday night. The Eagles (20-1) prepped for the challenges ahead by taking the lead from #16 seed Billerica (11-11) after 2 ½ minutes and never trailing the rest of the way. 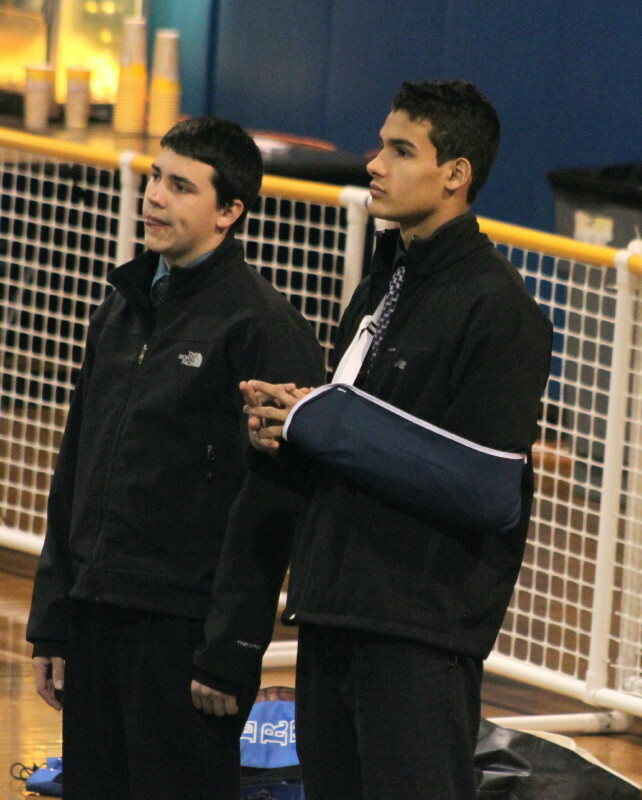 The Indians, in fact, were in trouble even before the game started as key player Pedro Trindade was reduced to being a spectator because of an injury in the preliminary round. Mike Carbone pressures Kasey Higgins. 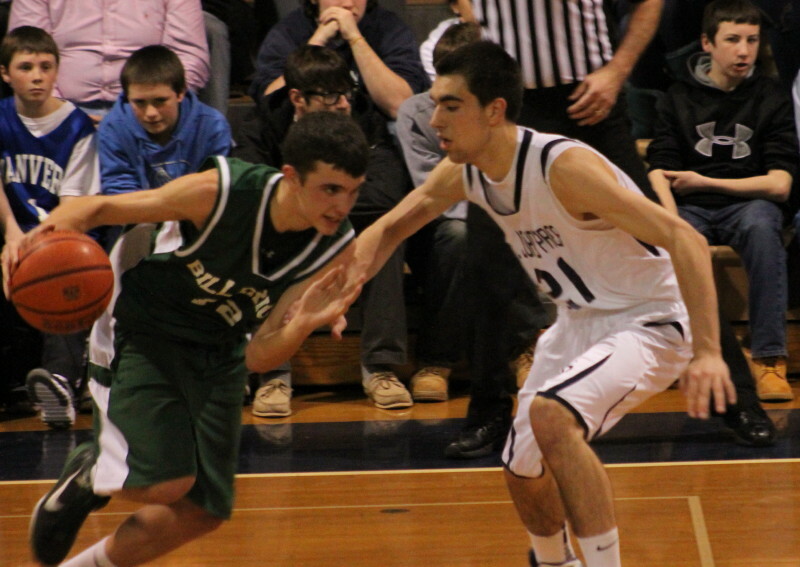 The Eagles’ man-to-man defense was solid throughout limiting inside shots. 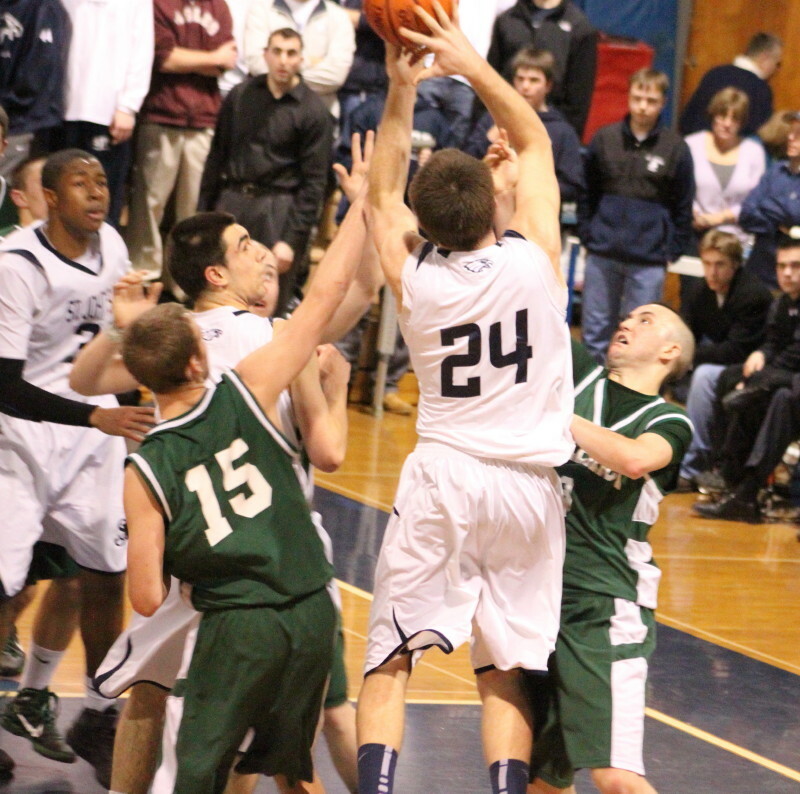 That defense forced Billerica into a two serious scoring droughts, one in each half. The one in the first half provided separation for St. John’s while the one in the second half did in Billerica completely. 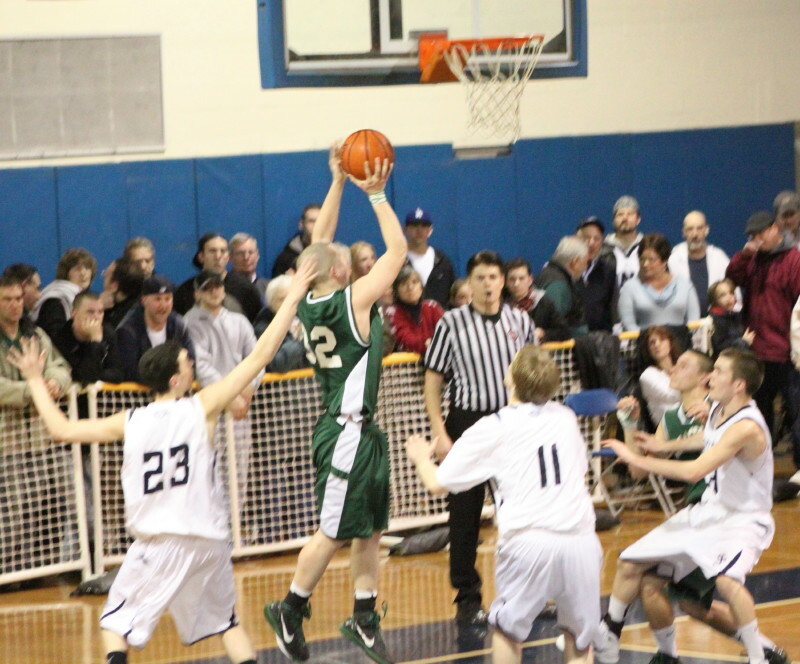 A jumper by Pat Bradanese (13 points) put Billerica within one (20-19), two minutes into the second quarter. The Eagles, however, dominated the rest of the quarter to the tune of 19-3 and left with a, 39-22, halftime advantage. Stephen Haladyna (22 points) had eight of those points during this run getting set up on a couple of the baskets by Pat Connaughton (22 points). The second drought began with St. John’s ahead, 46-36, with 2:45 left in the third quarter. Over the next 5 ½ minutes, stretching into the 4th quarter, St. John’s outscored the Indians, 23-6, grabbing a 69-41 lead and moving this game into bench-clearing territory with five minutes left. 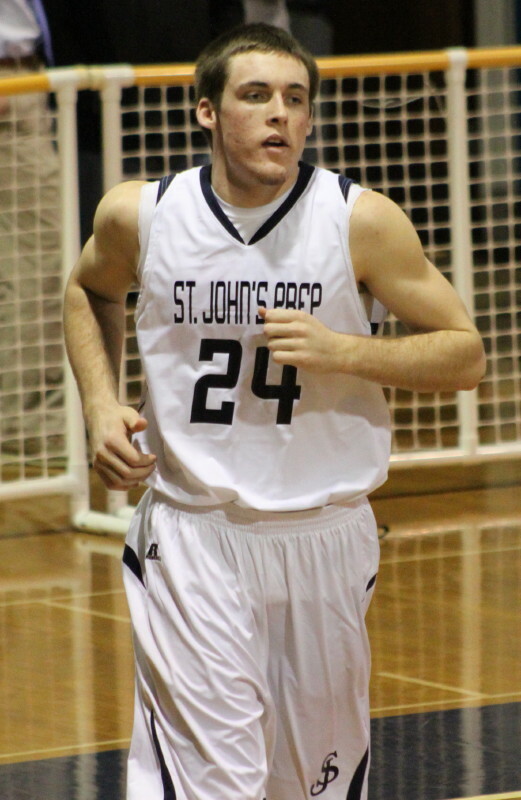 Pat Connaughton (#24) moves in for a second half layup. During this steady offense, Pat Connaughton earned chants of, “Pat, Pat, Pat,” from the organized, loud, and appropriate Eagle student cheering section. The Notre Dame recruit has the knack of getting past a defender on the baseline in very little space and then leaning back out and putting up a shot on either side of the basket depending on what other help defenders do. 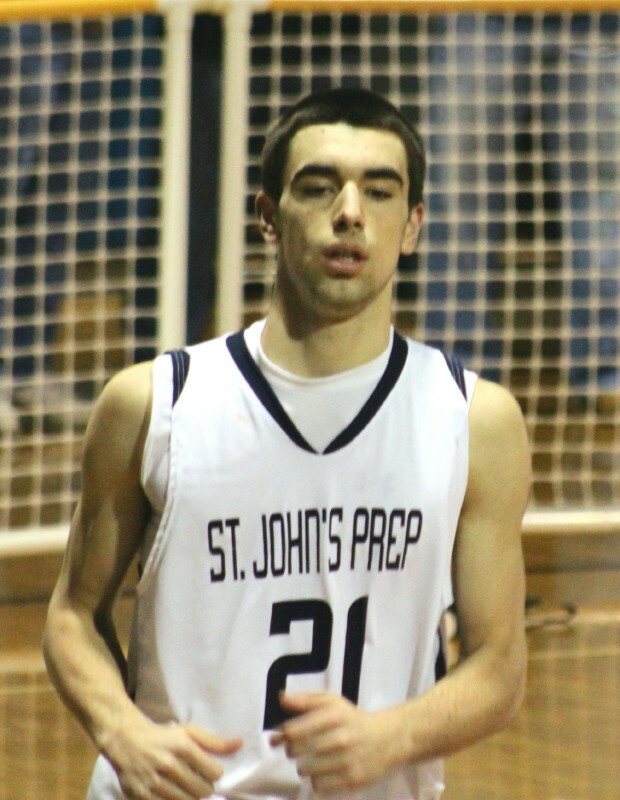 He had ten of the Eagles twenty-three points in a run that put the game into the win column for St. John’s. Billerica’s student section chanted “Over-rated,” when Pat shot free throws during this winning drive probably referencing the fact that he missed all seven of his three-point attempts. Important for St. John’s was that their defense was great and will need to stay that way in the game(s) ahead. 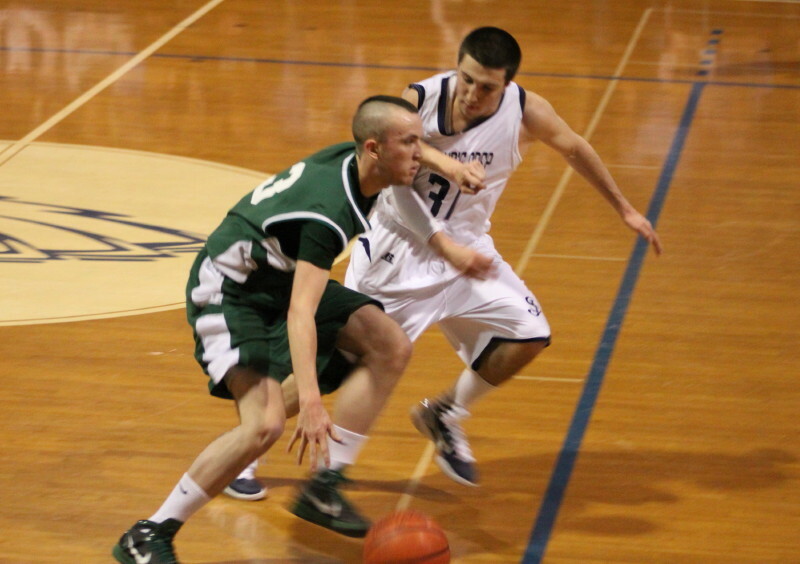 To be on the floor for the Eagles a player must be able to defend an opponent without teammate help. Equally important was the point production of Stephen Haladyna (22), Pat Connaughton (22), and Mike Carbone (16). When all three of them are hitting shots, the opposition defense can’t be sagging in protecting for layups. 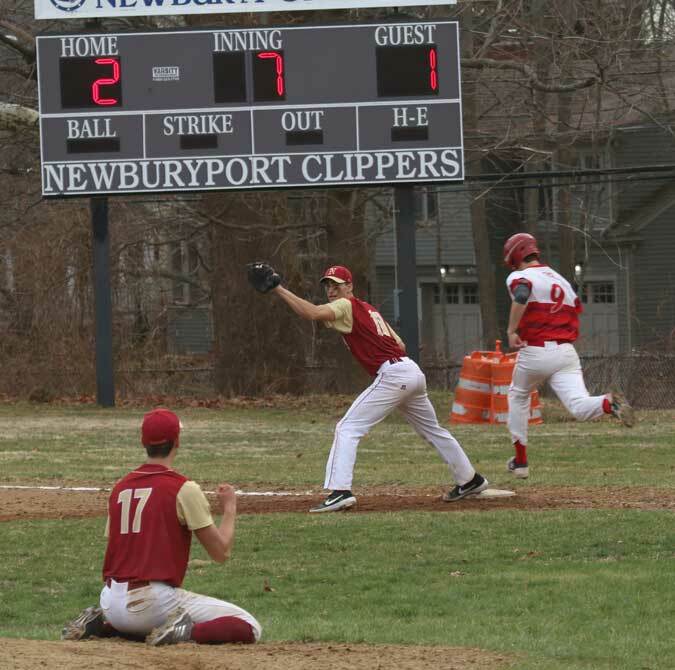 Stephen has been the one struggling and I’m sure that Coach Connolly was pleased at his output versus Billerica. 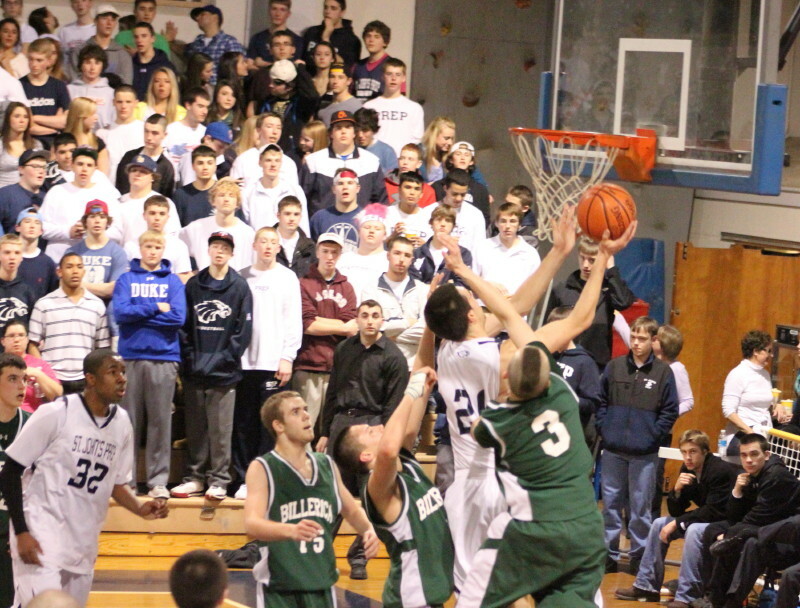 Stephen Haladyna layup in traffic. 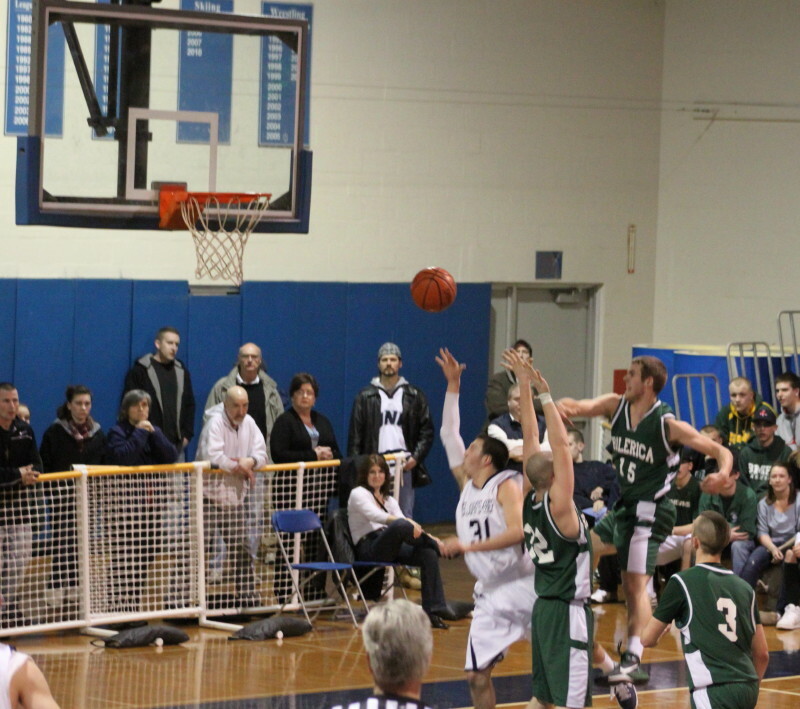 Mike Carbone squirms through for a first half layup. Connor Elmore (19), Ryan Donahoe (12), and Pat Bradanese (13) paced the scorers for Billerica. 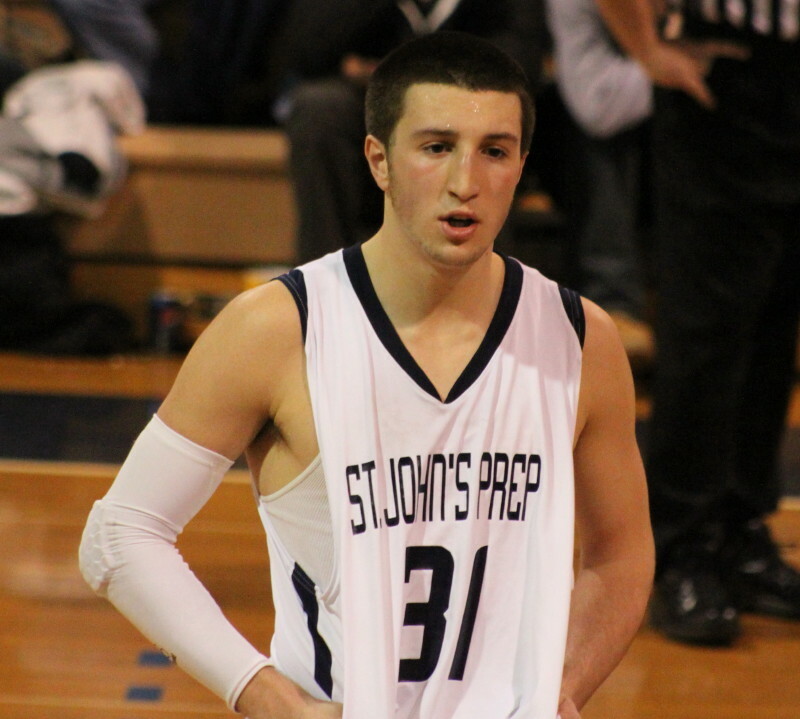 Connor collected his nineteen points despite spending time on the bench with early foul trouble.